Set yourself free from the stress and anxiety of your daily routine and visit one of our eight Southern California and Arizona RV parks. Our parks – found in and around the Colorado River area – are the perfect places to park your RV and devote time to pleasure, relaxation, and adventure. Outdoor activities like fishing, boating, golfing, and swimming are never in short supply. And if lounging around with friends and family is your ideal vacation, you couldn’t find a better place to do it than our Arizona and Southern California RV campgrounds and parks. If fishing is your idea of relaxation, then definitely point your RV in the direction of our Yuma Lakes Resort. While great fishing can be found at all our Arizona RV camping resorts, the Yuma Lakes Resort features a private lake well-stocked with bass. The peaceful surroundings will make it hard for you to want to do anything else! You can also lay by the pool with a good book, or partake in any number of activities at the clubhouse. If you’re yearning for something slightly more adventurous than a typical Arizona RV park, then head south for an hour and you’ll reach El Golfo Resort in Mexico. Better yet, let us drive you down on one of our weekly caravans between Yuma and El Golfo. This beach front resort is everything you’ve come to expect from a vacation in Mexico: pool side cabanas, glimmering ocean water, and cold cerveza. Famed for reconstructing the real London Bridge over its local waterways, Lake Havasu is also home to Lake Havasu RV Resort, a fantastic Arizona RV park. Spend your days fishing at the lake, sunning by the pool, or hitting the greens for 18 holes of golf; spend your evenings dining and shopping in the Olde English Village! 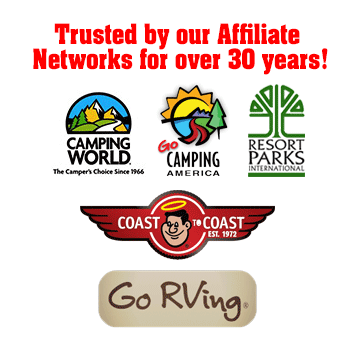 If you need a vacation from the kids, look no further than our NorthShore RV Resort. After spending your afternoon on a boat beneath the Arizona sunshine, you can take one of our daily shuttles to Laughlin, Nevada, and press your luck at the slots or poker tables. 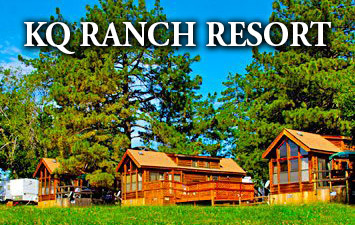 A little further west you’ll discover some of the best Southern California RV parks around. With its incomparable weather, the Golden State is home to innumerable vacation resorts, but none with as many options as ours. Some of the world’s best golfing and shopping can be found near our Cherry Valley Lakes resort – a truly fashionable Southern California RV park! You can fish at one of our two well-stocked lakes, and even gamble at nearby casinos. 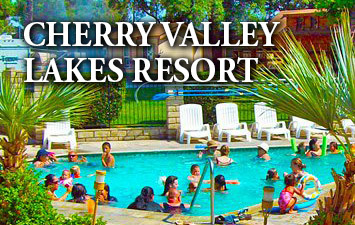 Unlike many other Southern California RV camping resorts, Cherry Valley Lakes features a cozy clubhouse for dining or playing games, a heated swimming pool, and a large Jacuzzi. Clean bathrooms, showers, and complete laundry facilities are creature comforts not typically found at campgrounds, but Cherry Valley Lakes proudly features all three. With three glimmering pools, including one children’s wading pool, and a peaceful white sandy beach, Emerald Cove Resort certainly lives up to its name. This Southern California RV park might as well be paradise! Emerald Cove is located just outside of Quartzsite, near the Colorado River area – far from the noise and crowds of greater Southern California – and offers a clubhouse, triple-wide boat launch, and water equipment rentals. With over 800 spacious campsites and so many activities, this resort is one of the most luxurious Southern California RV parks you will find. Between the two superior Southern California parks and the several Arizona RV park options, you’re bound to find an RV park that suits your needs.